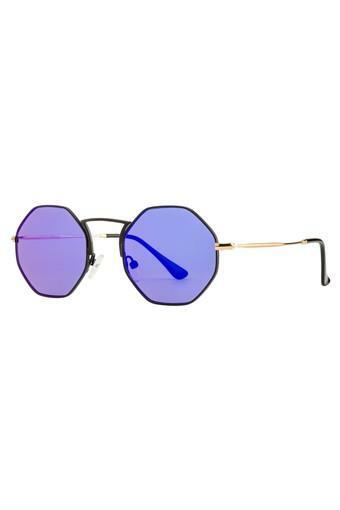 Check out this pair of sunglasses from Opium that combines useful features with a noticeable look. It flaunts a rimless frame that is sleek and is made of good quality metal. Your perfect companion in the scorching heat of the Sun, it comes with polycarbonate lenses that protect your eyes from the harmful ultraviolet rays of the Sun. Majestic style makes this pair of sunglasses a fabulous choice for your leisure outings. It can be combined with any western outfit of your choice for a smart look.